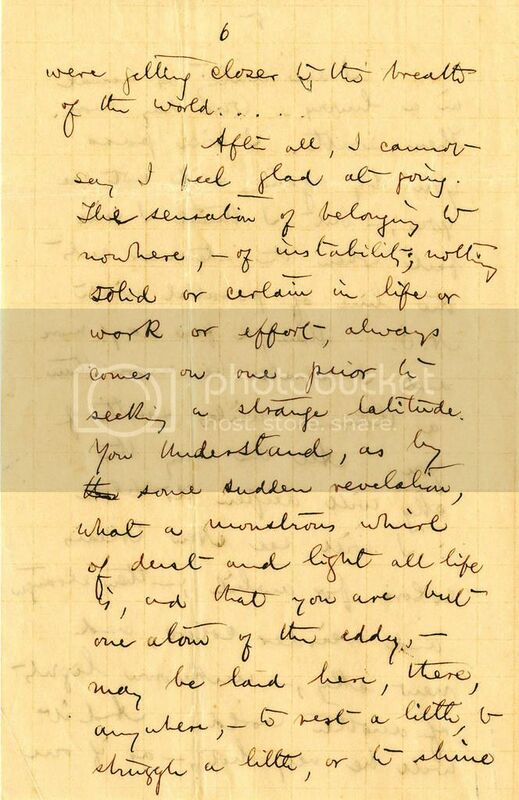 Today, in celebration of Lafcadio Hearn’s birthday on June 27th, we are highlighting pages 5-7 of Letter 24 from our Lafcadio Hearn Correspondence collection. 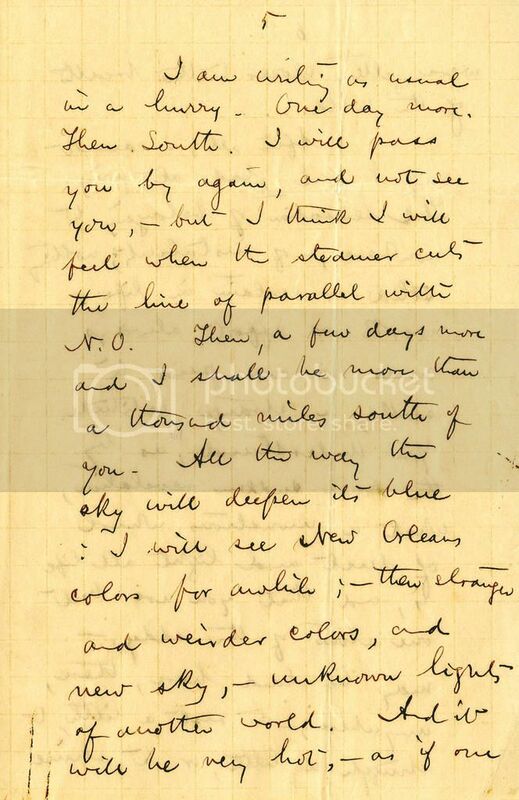 This collection primarily consists of letters written between the years 1840-1896 from Hearn to Page Mercer Baker, a New Orleans newspaper founder, reporter, and editor. 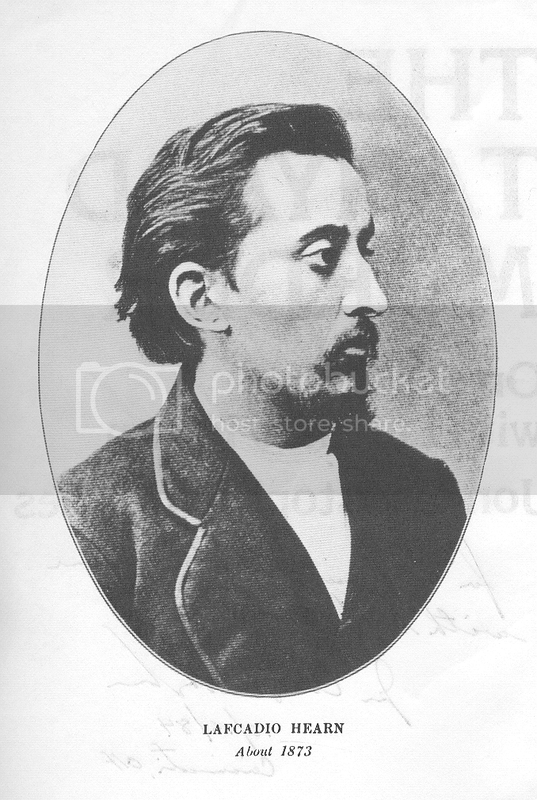 The Lafcadio Hearn was a reporter, writer, wanderer, and world traveler. 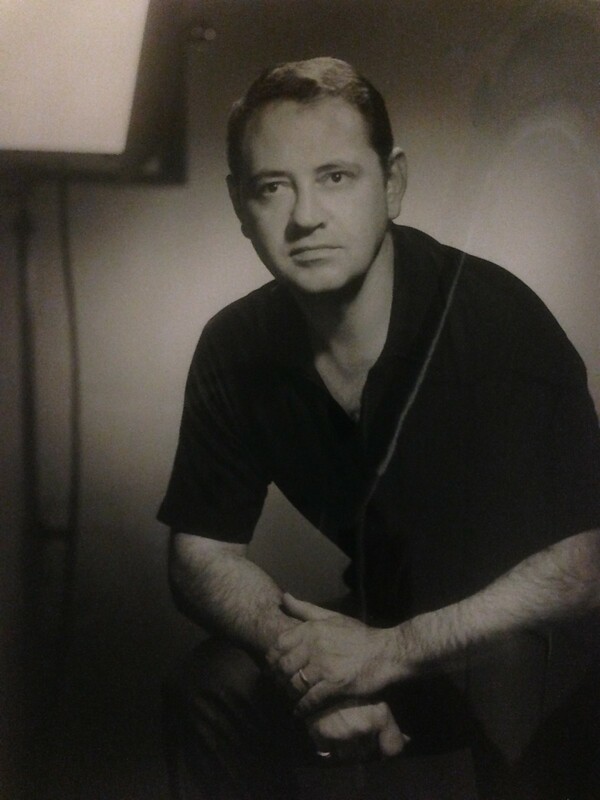 Born in Greece, he spent a difficult childhood in Dublin Ireland, and England. Hearn then emigrated to the United States, living in Cincinnati, New York, and New Orleans, to eventually be laid to rest in Japan. He is a truly fascinating literary figure known not only for his writing about the underbelly of life, African American culture, Japanese ghost stories, and the macabre but also for his life spent as an outsider and traveler. The letter was written in the month of June in 1887 days before he traveled from New York City to Trinidad aboard the Barracouta on an assignment for Harper’s Magazine. The resulting article “Midsummer Trip to The West Indies” appeared in the July 1888 issue of the magazine. I am writing as usual in a hurry. One day more, Then South. I will pass you by again, and not see you, – but I think I will feel when the steamer cuts the line of parallel with N. O. Then, a few days more and I shall be more than a thousand miles south of you. All the way the sky will deepen it’s blue. – I will see New Orleans colors for awhile: – then stranger and weirder colors, and new sky, – unknown lights of another world. And it will be very hot, – as if one were getting closer to the breath of the world…. After all, I cannot say I feel glad at going. The sensation of belonging to nowhere, – of instability; – nothing solid or certain in life or work or effort, – always comes on one prior to seeking a strange latitude. You understand, as by some sudden revelation, what a monstrous whirl of dust and light all life is, and that you are but one atom of the eddy, – may be laid here, there, anywhere, – to rest a little, to struggle a little, or to shine a moment in the light; but sooner or later all the motes float into the darkness and the silence forever. Before, it will be some consolation to have seen what makes life and thought, – Light, in the most splendid aspect it can offer to human eyes. 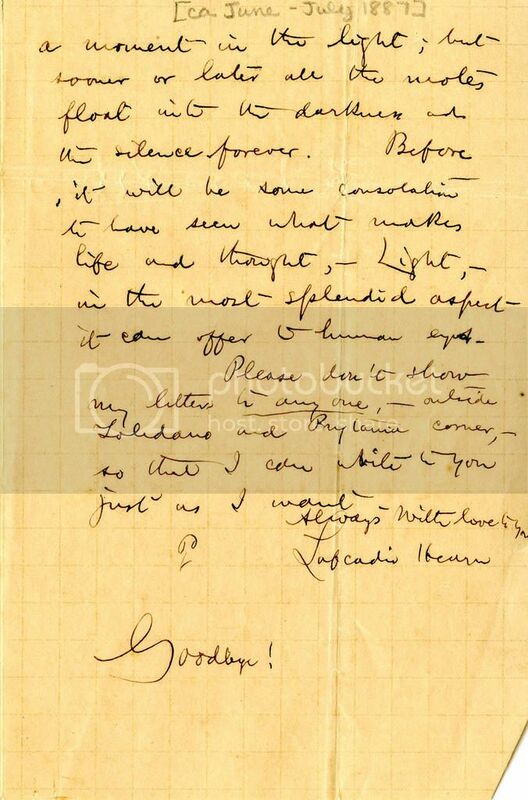 You can find this letter in its entirety along with others in our Digital Library or come and view the complete Lafcadio Hearn Correspondence collection in person Monday through Friday 9:00 – 4:30 in the Special Collections & Archives located on the 3rd floor of Monroe Library. Bonus Info: Follow these links to enjoy a fascinating 2-part radio documentary produced by RTE Lyric FM in Dublin, Ireland and learn more about Hearn’s life and work. 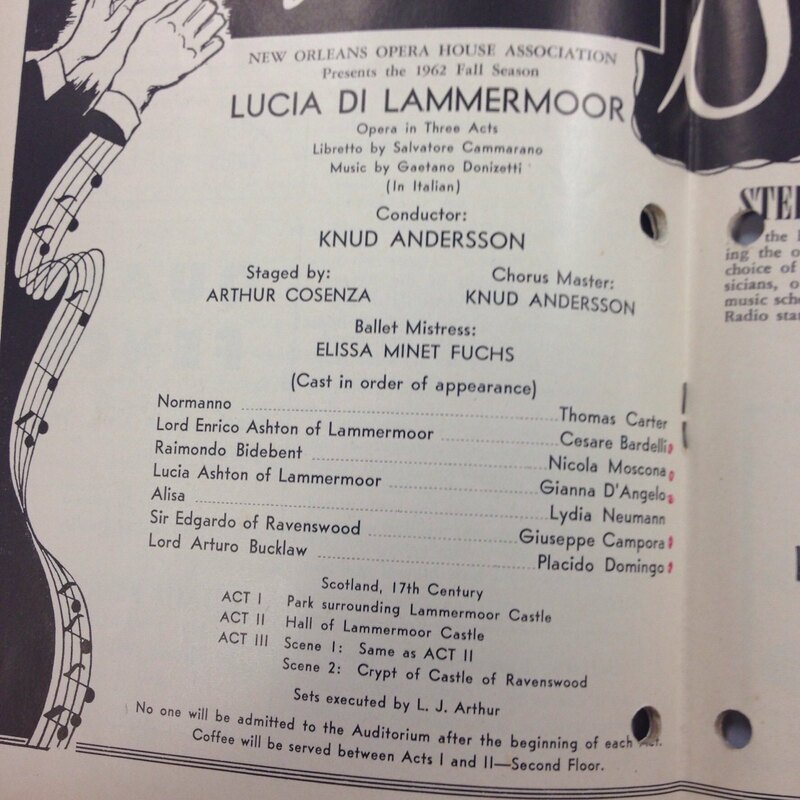 In 1962, Domingo performed with the New Orleans Opera House Association for the first time as Lord Arturo Bucklaw. This was only his second performance in America (after his U.S. debut at the Dallas Civic Opera)! In this same program, is one of the shortest "artist bios" ever to be written under his now internationally famous name. Come and see it for yourself when you visit us in the SCA (third floor of Monroe Library)! One of my more exciting projects this summer is working in the Loyola Special Collections & Archives department at Monroe Library. I first learned how to navigate a library via the Dewey Decimal System during my kindergarten year at Hynes Elementary School in Lakeview. There is nothing quite like the thrill of researching, seeking, and finding sources in the library. Those moments when you get lost in shelves because there are more books than you thought there would be on your topic or even a topic you had not considered; the sounds of silence; the scents of the books…I could go on forever about the joys of ‘the library’! Monroe Library at Loyola is an unforgettable one. There has always been a special little place in my heart, where I’ve imagined myself a librarian. Here I am. Tucked away on the third floor, in a quiet and magical place is: The Special Collections and Archives Department. I was hired to take on this part time position as a student worker and am receiving a music industry internship credit. The people I work with are as lovely as they are intelligent (and librarians are very smart, duh!). We all wear sweaters not because sweaters complete the “adorable librarian” look, but because most of the collections in our in our department are extremely old and in order to best preserve them, temperatures are set very low. Floyd is famous for his operatic composition of Susannah (an opera in two acts). 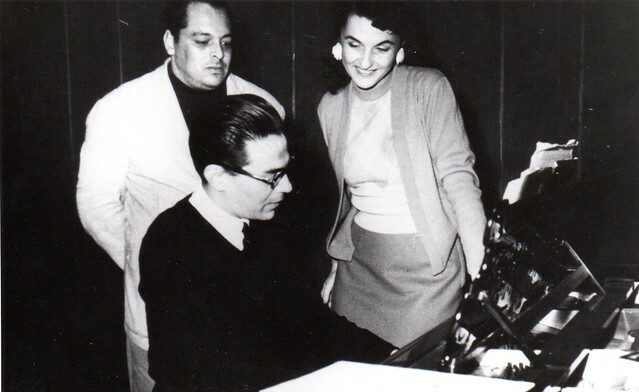 The composer wrote Susannah and Markheim essentially for the specific voice and character of international and local star Norman Treigle. The world premiere of Markheim took place in March 1966 after Treigle insisted it happen in his hometown of New Orleans! The performance captured national coverage and was a huge success. My journey in the archives began and will end with the New Orleans Opera Association. My primary job this summer is to search through the extensive New Orleans Opera Association archives and find interesting photos, documents, programs, etc. to display in the New Orleans Opera Association exhibit coming this Fall 2016! What seemed a daunting and vague task (as SA&C has almost 100 boxes of NOOA historical content) has turned into one of the most interesting and exciting research projects I’ve ever encountered! The timeline I am working with is from February 1943 – the beginning of the New Orleans Opera House Association – to the early 2000′s. This collection is over flowing with unique photographs, hand painted or sketched set designs, amusing correspondence, quaint scrapbooks, and reel to reel recordings of performances as old at 1947! 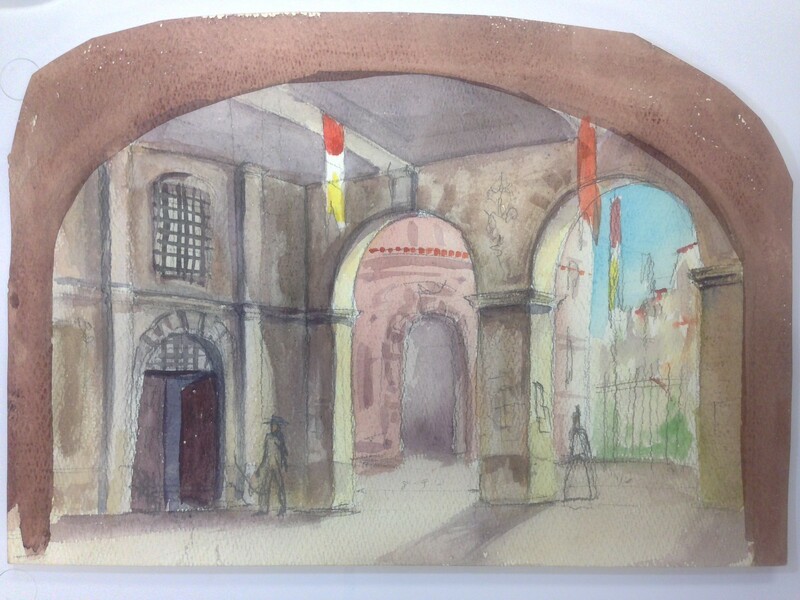 This watercolor set design of a 1966 production of Carmen is one of many hand painted or sketched plans in the NOOA collection. It is most fascinating to hold up the planned set next to the realized black and white photo of the stage! A single page from one of the NOOA Women's Opera Guild Scrapbooks. The twenty-fifth anniversary season of the NOOHA was all about the big names in opera. 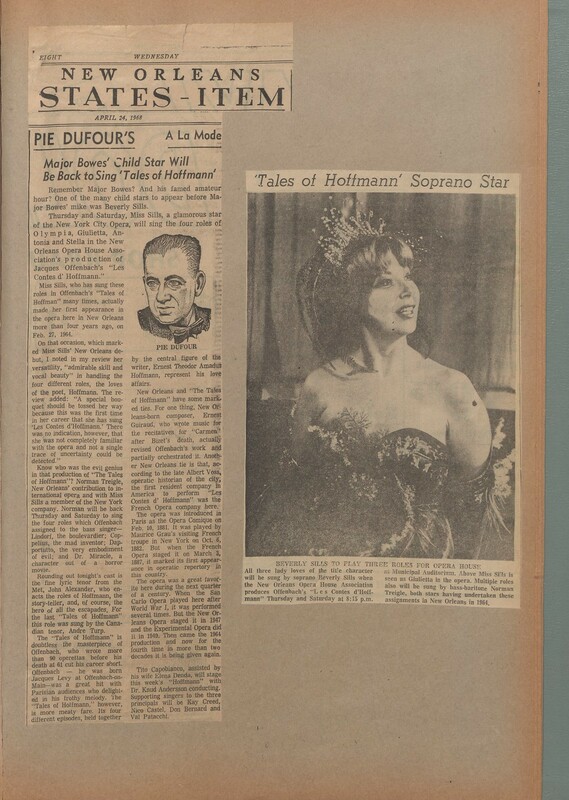 For this particularly spectacular performance, Tito Capobianco staged an inventive production of Les Contes d'Hoffmann, featuring Beverly Sills (pictured here), John Alexander, and Norman Treigle. Written by Student Worker and Intern, Gloria S. Cosenza. 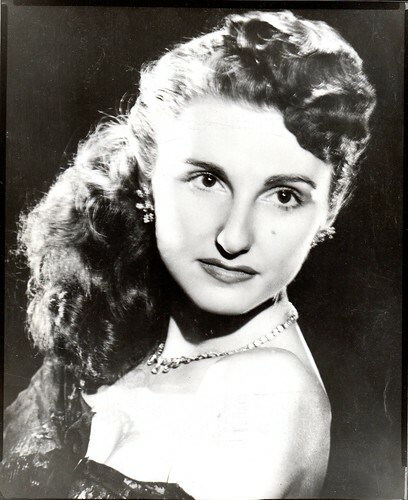 Lorraine Dureau Newsham graduated from Loyola University New Orleans in 1955 with a Bachelor of Music. She had become somewhat of a local celebrity, praised for her ability to be both a wife and student, but more importantly for her voice. 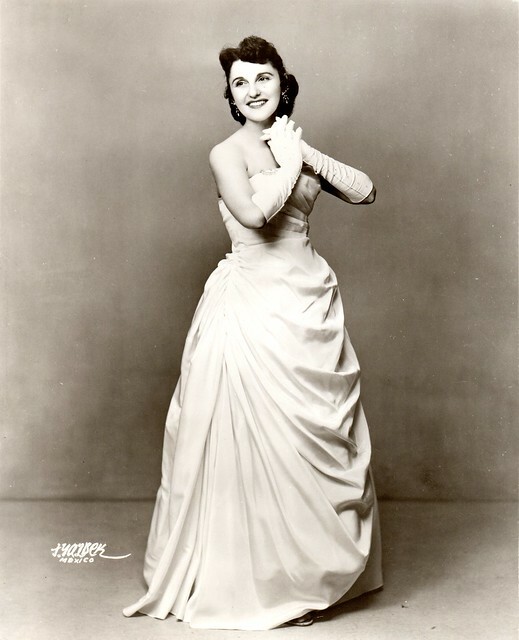 She was an up and coming opera singer, having performed with Norman Treigle during the 1940s and an active member of NORD (New Orleans Recreation Department), and was accepted to perform at the Metropolitan Opera House after finishing her time at Loyola but was unable to attend after suffering from a broken rib that put her out of work for the opera season. 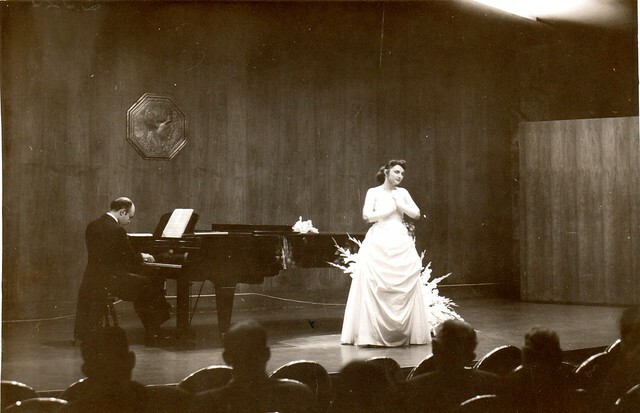 Devastated by her missed opportunity she sought out other options and was encouraged by Miguel Bernal, the dean of the College of Music at the time, to try her hand in Mexico where the opera scene was growing in popularity and was performing year round. It is not clear by our records the exact time she left, but by 1957 Lorraine was in Mexico, apparently leaving everything behind, including her husband at the time, John Newsham. Her collection is full of photos and articles from her time in Mexico, giving us a picture of what her life was like and all of the people she met and grew close to. In Mexico she became a star and her music career soared while earning herself a new name in the process, Lorena Dureau. 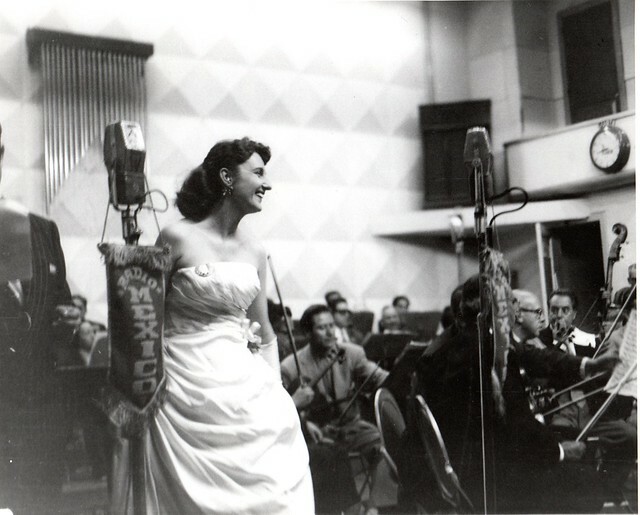 She preferred performing repertoire of her favorite songs rather than complete operas but excelled in both, appearing on stage, radio, and television, all while also furthering her career as a writer. 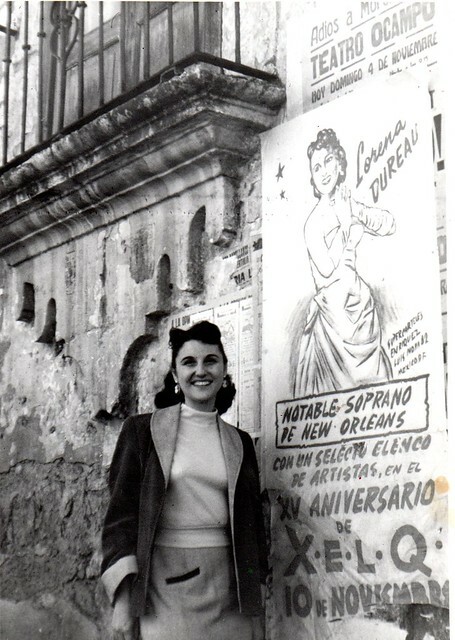 She wrote articles for many publications around the world both during her time in Mexico and after returning to New Orleans in 1978. 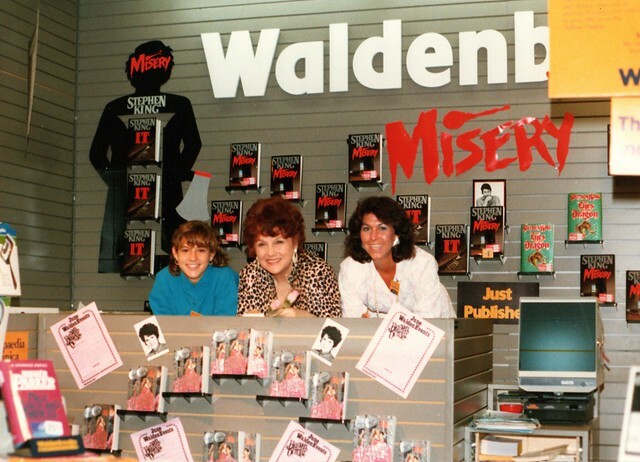 She had been writing short stories and poems since she was a little girl and took up the skill again as she led her singing career away from performing and in the direction of teaching and turned to novels. 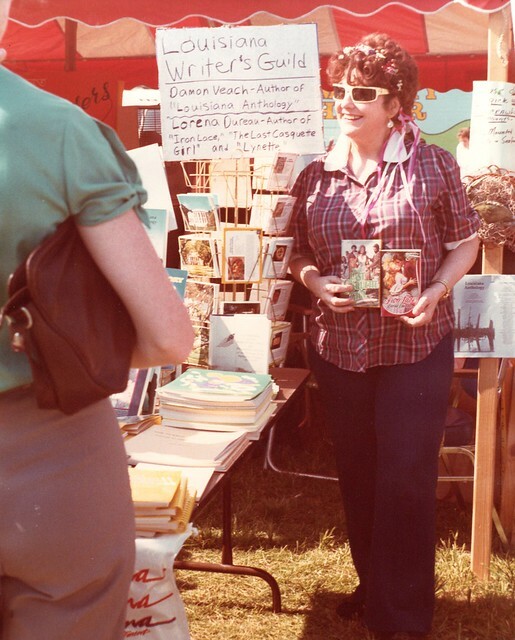 While her first unpublished manuscript was titled By the Sword (date unknown) and written under the pen name Lorry Newman, her first published work was a book titled The Last Casquette Girl (1981), starting her on the trend of romance novels that would follow which included Lynette (1983), Iron Lace (1983), and Beloved Outcast (1987). After returning to New Orleans she captured the attention of a local businessman by the name of George Lehleitner, famous for his work both in the New Orleans community and his actions in helping both Alaska and Hawaii achieve statehood. George had seen an article about Lorraine that was written by an old family friend and contacted the friend to say that he was interested in meeting this fascinating woman. 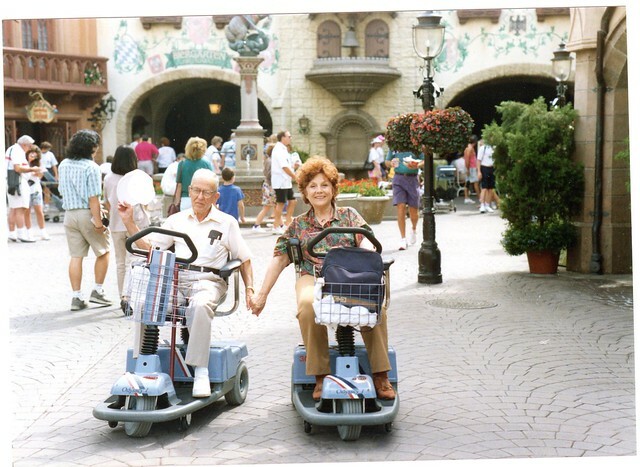 Persistent in his desire to meet Lorraine she eventually accepted his offer for lunch, starting the beginning of a wonderful relationship as the two were soon married and lived our their lives with each other, traveling to many places together as Lorraine also re-visited Mexico many times. Interesting cannot even begin to describe this woman as her collection takes you on a wild tale of one woman’s journey through life. From her days at NORD and Loyola to Mexico and opera, writing of romance novels and articles on voodoo, dolls, Mexican culture, and more. This information is from the Lorraine Dureau collection, which is currently being processed at Loyola University New Orleans in the Special Collections & Archives by students. 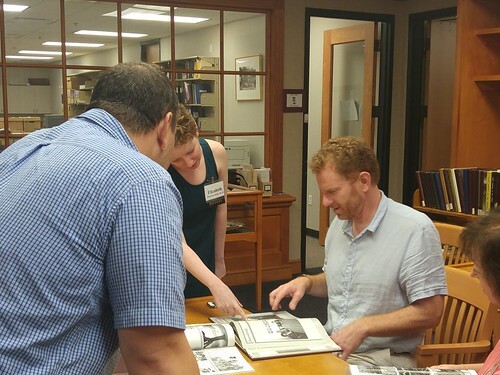 Blog Post by Caitlin Page, a Special Collections Student Worker. The League of Women Voters was a prominent group in the United States from the sixties and through the nineties. The nationwide group had many roles to play and numerous progressive accomplishments including women’s suffrage. After distinguishing themselves in Jefferson Parish, the League decided to take on and suggest reform to the Louisiana Corrections System. The League wrote up a 120-page study about corrections problems, while specifically focusing on alternative punishments. The study concludes that there is a plethora of problems in the Louisiana prison system from being overcrowded, in violation of safety regulations, and simply not worth taxpayer’s money to run such an ineffective system. The League’s proposal was for alternative punishment for inmates who were not convicted felons, but for progressive programs other than jail to be an option for other inmates as an alternative to the traditional parole and work release. After the introduction the study continues with extremely well annotated and detailed information discussing the history of effective prison systems in the United States. An example provided is the Quakers of Pennsylvania. Their penal system was then adopted and manipulated which created the more commonplace method of a prison system. At that time, it was seen that prisons could be suitable for rehabilitation, but what time has shown is that is simply not the case. After this broad overview the League then writes about the history of the penal system in Louisiana and how much of a disaster it really is, but said elegant and politely. After schooling the state on its poor management of prisons and rehabilitation of inmates, the League provides alternatives and cases from other prison complexes, showing the vast improvements of other places around the country in comparison to Louisiana. 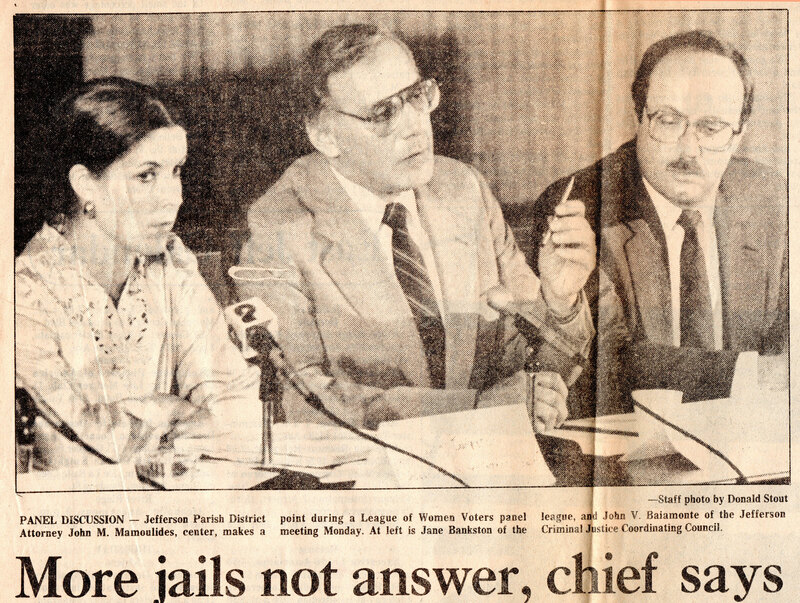 While the penal system of Louisiana is still well renowned for its corruption and ineffectiveness, the League of Women Voters was willing to step up to the challenge of reform. Organizing in the 1980’s to change such a rugged system as the Louisiana Corrections System shows the tenacity and dedication this group. The League was not just an organization for women to have positions and say in such matters, but to help change and progress American society as a whole. 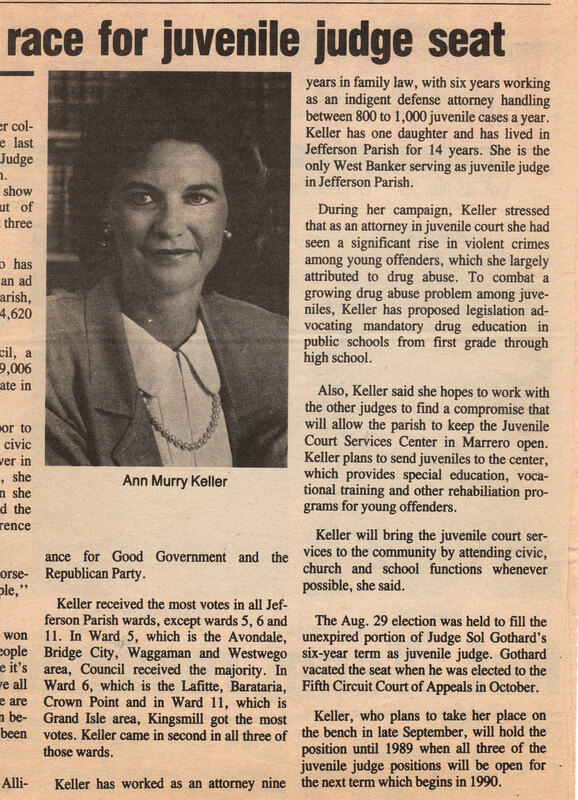 This information is from the League of Women Voters collection, which is currently being processed at Loyola University New Orleans in the Special Collections & Archives by students. 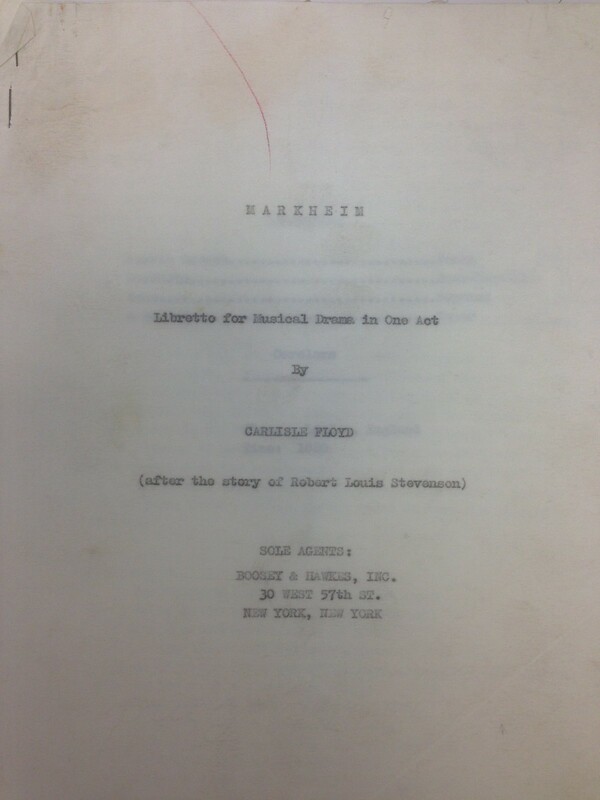 Blog Post by Oliver Marston, a Special Collections intern. deLesseps Story “Chep” Morrison, Sr., was an attorney and politician. He served as the 54th Mayor of New Orleans from 1946-1961 and as an United States ambassador under President John F. Kennedy from 1961-1963. 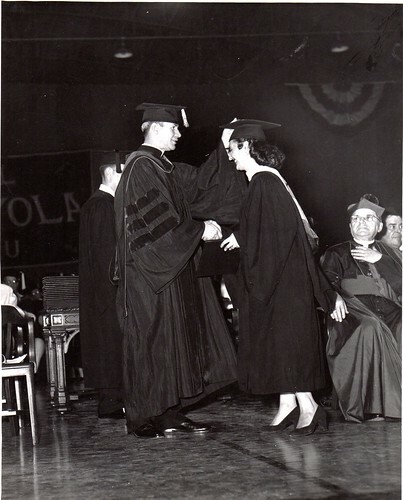 Loyola awarded Morrison with an Honorary degree at the 1958 Commencement Ceremony. As mayor, Morrison engaged in more large-scale urban renewal by helping in the construction for the New Orleans Civic Center, the New Orleans Union Passenger Terminal, several street-widening projects, and the construction and expansion of the New Orleans housing projects. In 1961, President John F. Kennedy appointed Morrison as the ambassador to the Organization of American States, a inter-continental organization that promotes solidarity and cooperation among its members. On May 22, 1964, deLesseps Story “Chep” Morrison and his son Randy died in a plane crash in Ciuadad Victoria, Mexico. To honor him and his political legacy, deLesseps Morrison, Sr., was posthumously inducted into the Louisiana Political Hall of Fame in 1995. Blog Post by Raven Evans, a Special Collections work study student. Wolfpack baseball player Luis Anguizola was just drafted by the San Diego Padres in the MLB draft. This isn’t the first time a Loyola student has gone on to an illustrious athletics career, and one surprising example from the archives comes from a sport that just keeps coming back to campus. Rumblings of a Karate Club at Loyola began as early as 1964, but it wasn’t until 1969 that the club took on full force. Ferdinand Bigard, a junior journalism major and black belt in karate, began offering free instructional classes for all students. At some point the club disbanded, but it has been revived numerous times including in 1982, 1987, and 1997. And it lives on, even today! But whatever happened to Bigard? According to their official Facebook page, Bigard founded the Official Kuro Bushi Kai Karate Do Kempo International club in 1972, and in 1989 he was inducted into the International Karate & Kickboxing Hall of Fame. He passed away in 2003, and his Times-Picayune obituary (Loyola login required) also notes his accomplishments as co-founder and teacher of many local and regional Karate associations and clubs, flag boy of the Young Cheyenne Mardi Gras Indians (Bigard’s father, Frederick Sr., was Big Chief of the Cheyenne Mardi Gras Indians and a noted Mardi Gras Indian costume designer and maker), founder of the New Orleans Mardi Gras Indians Performance Troupe, member of the Congo Square Drummers for Life and board member of the Umoja Institute. Congratulations to Luis Anguizola, who follows in the footsteps of many great Loyola Athletics stars such as Ferdinand Bigard . Students with umbrellas on a rainy day in front of the library with "Fallout Shelter" sign. Blurry image of a rainy street scene. 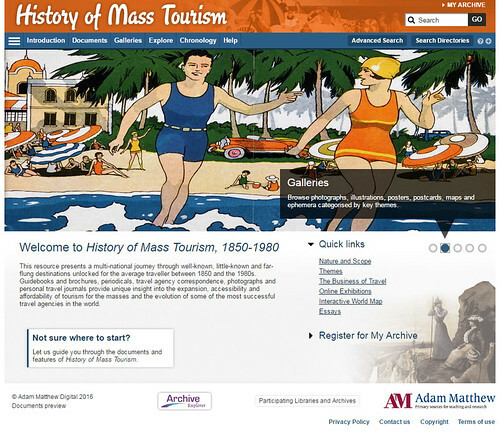 Special Collections & Archives is very excited to announce that Adam Matthew Digital recently released The History of Mass Tourism, a collection of primary sources from around the world. The digital collection includes two from Special Collections & Archives: the Anthony J. Stanonis Travel Scrapbook and Diary Collection and the Anthony J. Stanonis Collection of New Orleans tourism. The site requires a subscription, but the Monroe Library has trial access through July 8. Please visit the front desk to be logged in. We are thrilled that so many people will be able to use these collections digitally. Thank you to Adam Matthew for including us in this resource. 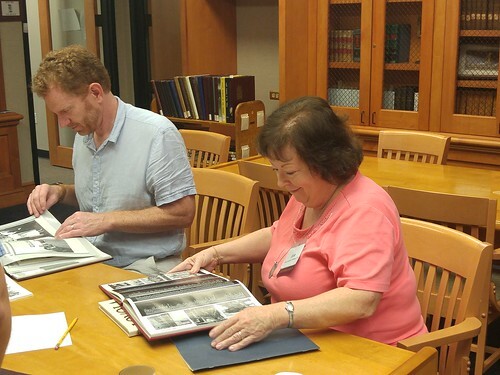 Last weekend, Special Collections & Archives hosted Loyola, Legacy, and You, a course on our collections, digitization work, and personal archiving, for participants in Alumni Weekend. 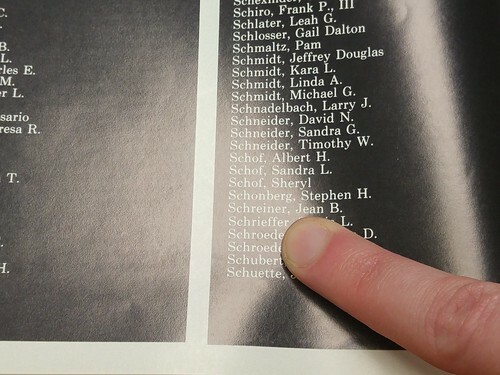 Alumni found themselves in yearbooks and commencement programs, searched the digitized Maroon, browsed University Photographs, and watched videos like this one of the first ever Loyola Sports Hall of Fame Banquet. Alumni left with a personal archiving starter kit including instructions for Preserving Your Personal and Family Archives, Preserving Your Digital Memories, and determining the lifespan of your storage media. Links to the resources shared in the course can be found on the Loyola, Legacy, and You Research Guide. We had a blast sharing stories with the alumni who came–thank you! You are currently browsing the Library Lagniappe blog archives for June, 2016.